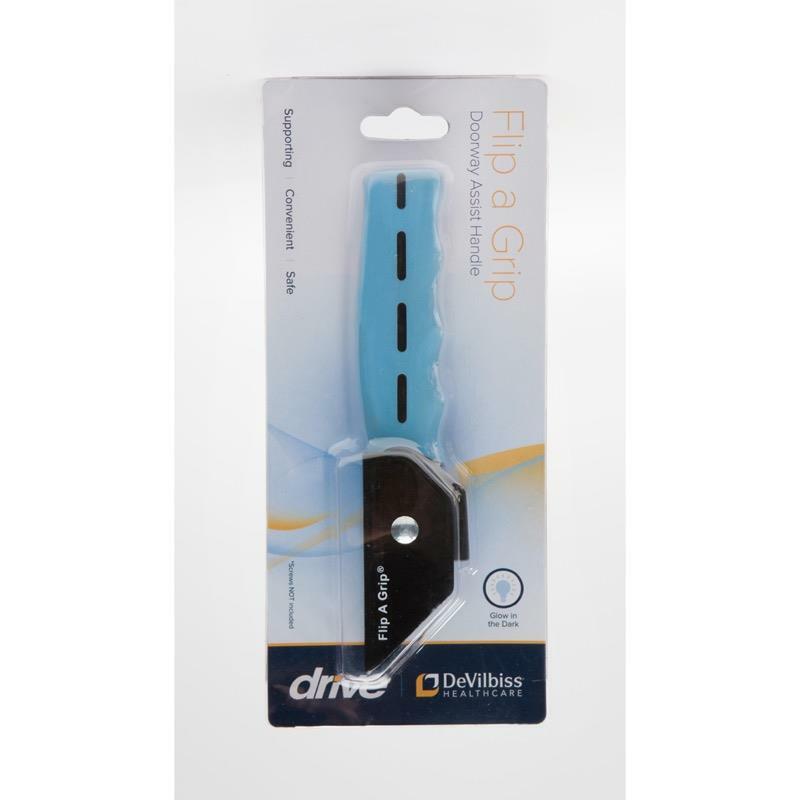 The Flip-A-Grip provides a sturdy doorway support handle to assist around the home. It is simple to install and folds away and can fit in spaces where larger grab bars won’t. 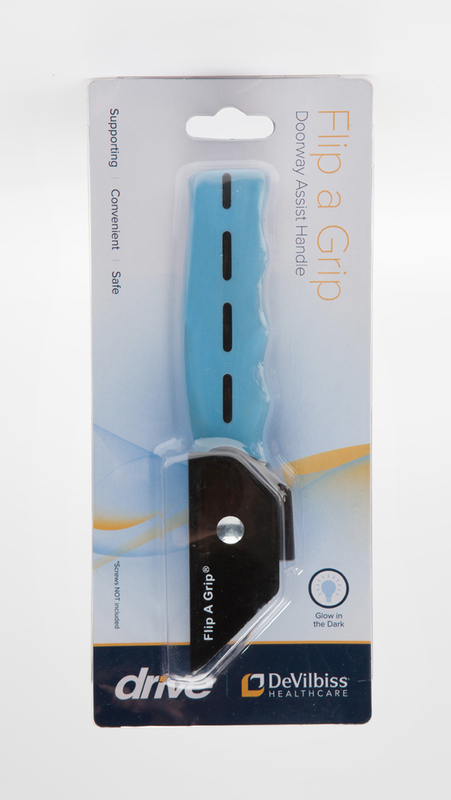 The Flip-A-Grip provides a sturdy support handle that helps assist when negotiating steps and transfers in the home. It is easy to install and folds away when not being used. Allows the user to push down and pull up for assistance as required and can take up to 21 stone of weight. It must be mounted to a solid wall (screws not included).